Travel season is in full swing, and we’re on the hunt for clever ways to travel in style, keep our tech-cessories organized, and all without spending too much money. 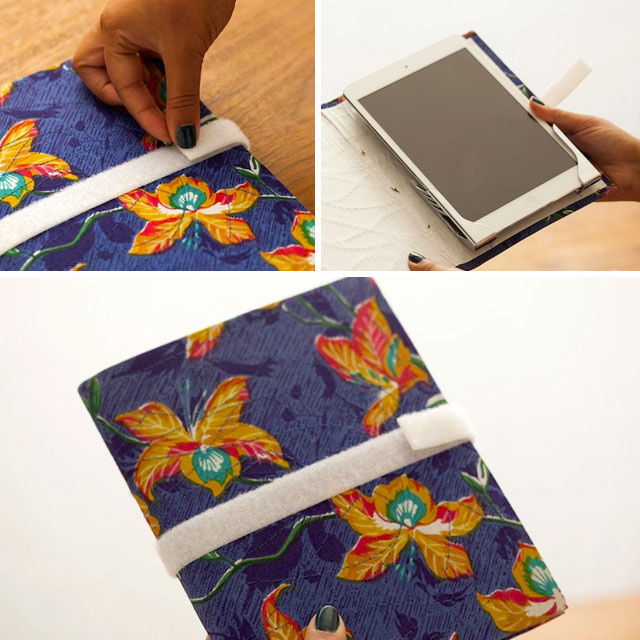 Today, we’ll show you how to turn an old fabric notebook into a stylish iPad case. Read on to see how it’s done. This project was inspired by a need to repurpose both an old notebook and a set of iPad wall mounts that we were no longer using. The results? 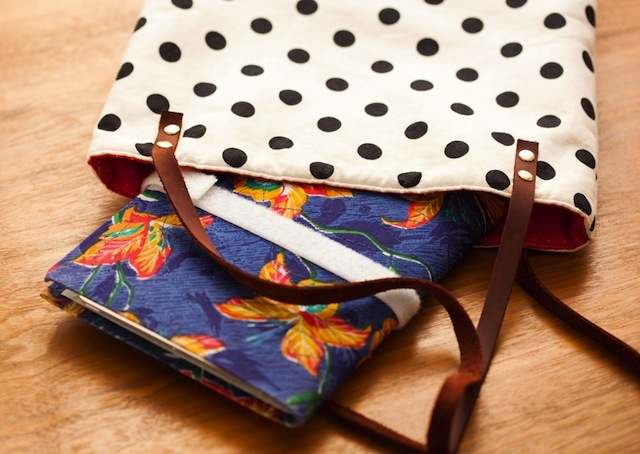 An easy-to-make iPad case. 1. 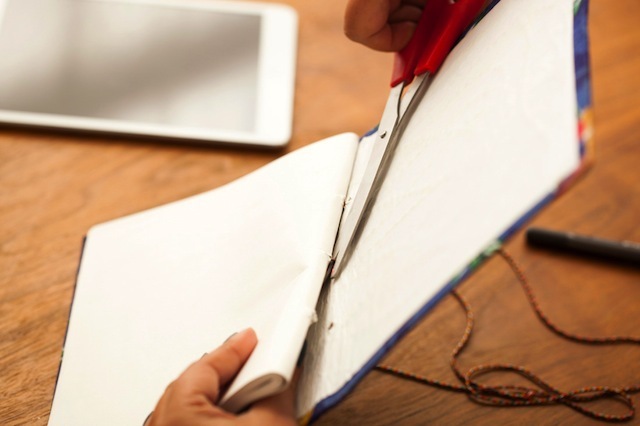 First, cut those used up pages right out of your notebook. 2. Use your iPad to measure where the Koala mounts should go in the notebook and attach them using hot glue. 3. 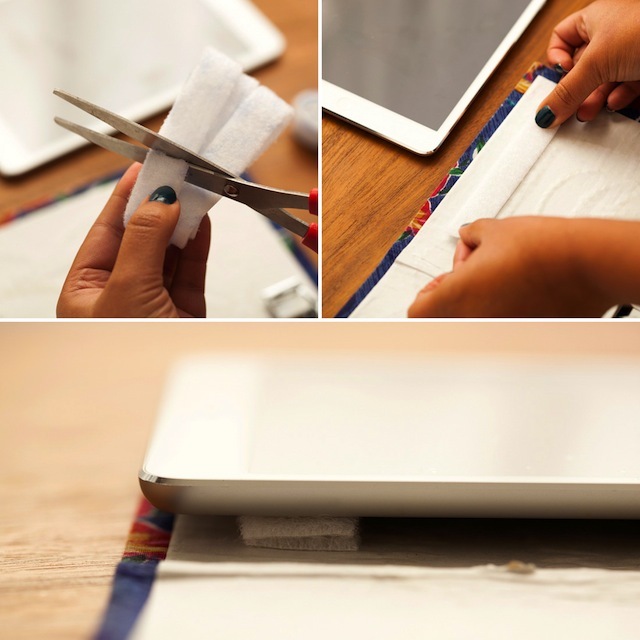 Cut a few pieces of VELCRO® Brand Sticky Back White Tape and stack them to create padding for your iPad. This will also make it less wobbly in the notebook, since the Koala mounts do stick out a bit. 4. 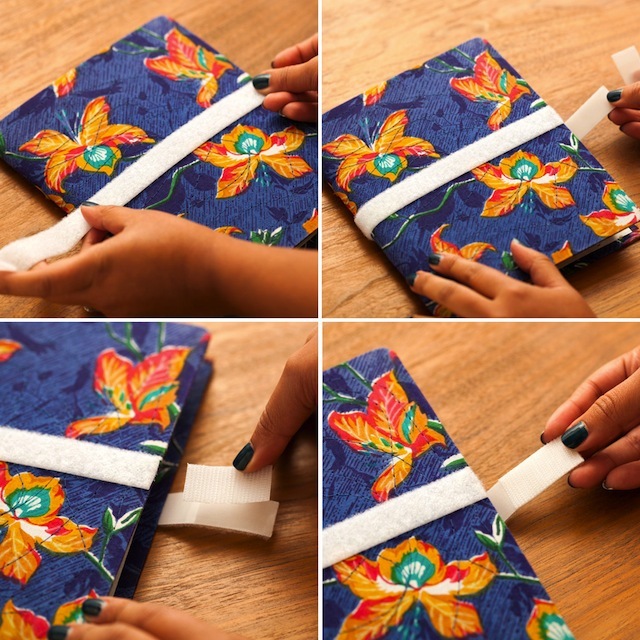 Using a long piece of VELCRO® Brand Sticky Back White Tape, create a closure for your notebook. We wrapped one piece of the “loop” side all the way around the notebook. Then we attached a small piece of the “hook” side, to fasten things up.